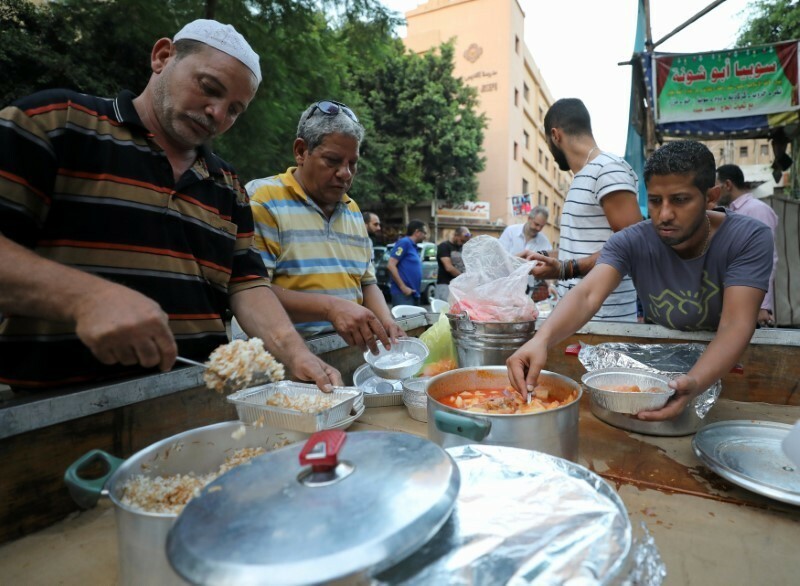 In a demonstration of solidarity, community, and defiance against extremist violence, Egyptians in Cairo, both Coptic Christians and Muslims, shared meals together during the holy month of Ramadan, reported Reuters. Every year, communities all over Egypt share inter-communal fitaar meals, but this year in particular the gatherings hold even more resonance after multiple extremist attacks targeted the Coptic community. Copts compose an estimated 15 to 23 per cent of Egypt’s population- anywhere from 5 to 15 million. “They invited me and my kids, and I was surprised. They laid the table out on the street with no difference between sheikhs, Christians or Muslims – they pulled everyone to the table to break their fast,” said Muslim resident Tarek Ali to Reuters. Multiple Christian families in the neighbourhood and its surrounding are and regularly offer food and drinks to bring together residents of various faiths during Ramadan, a time where charity is especially highlighted. “We all live in the same square, we’re all brothers and friends, I’ve raised this man’s son (alongside my own son) and he’s Muslim,” said Dawoud Riyad, a Christian man, as he set up tables in a street near his home to Reuters. Ramadan began near the end of May and ends on June 24 this year. Recent assaults on Egypt’s Coptic community were claimed by the Islamic State, sparking fears of further violence and dividing citizens throughout the nation. At the start of Ramadan, IS-affiliated gunmen launched an attack on a tour group of Copts heading to a monastery, killing 29 worshipers. The attack resulted in Al-Azhar cancelling all celebrations marking the start of Ramadan, and a general somber mood over the start of the Holy Month across Egypt.